I can't quite believe that it is Monday already - I have no idea exactly where the weekend disappeared! I have a really busy week ahead of me so I'm very much looking forward to the weekend being here already! I have recently discovered and fallen in love with Elegant Eggplant! 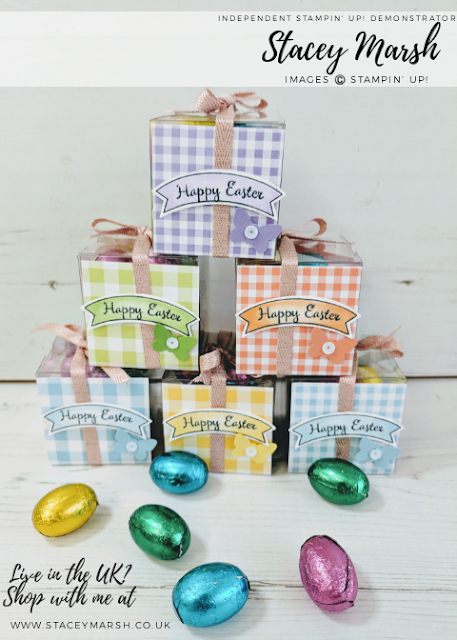 I must admit that the Regals colour collection is my least favourite and as such I haven't really used them in my crafting other than at Christmas! I usually go for either bright, neutral or subtle colours and because of this I seem to neglect the Regals! 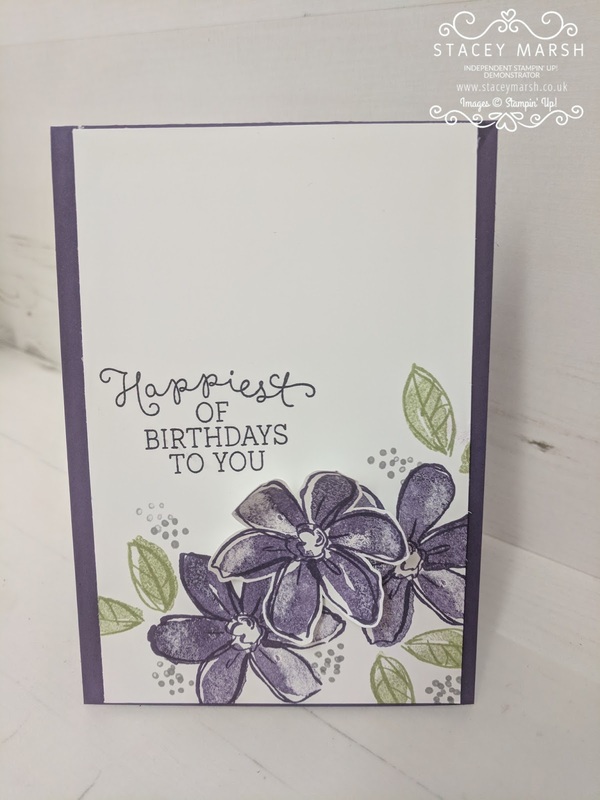 The colours in this collection are really deep and luxurious and Elegant Eggplant is the colour focus of today's card! 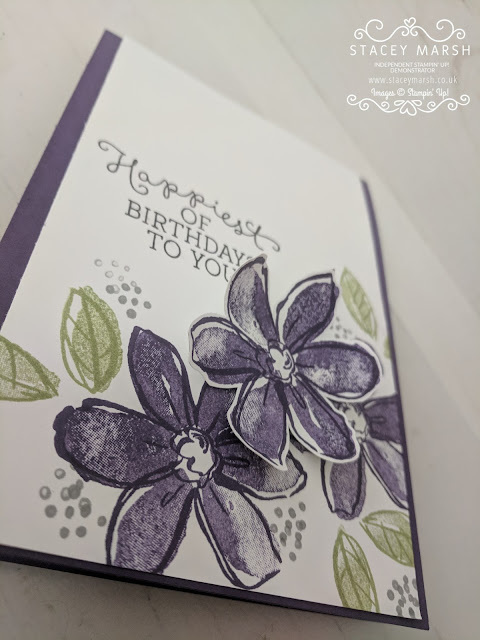 It is a really strong dark purple colour and the cardstock looks almost velvety! 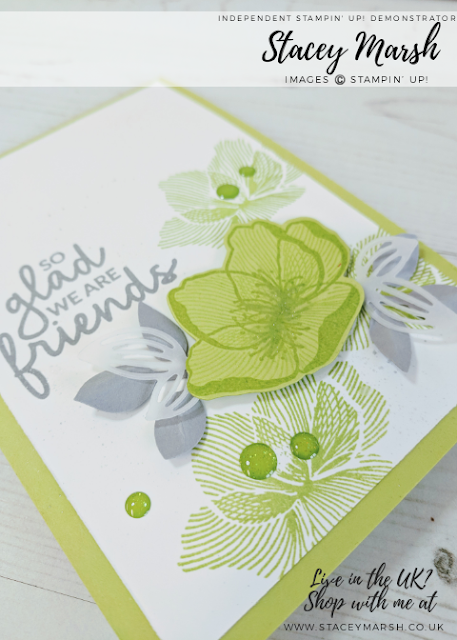 The flowers on this card come from a very well loved stamp set called Garden in Bloom. 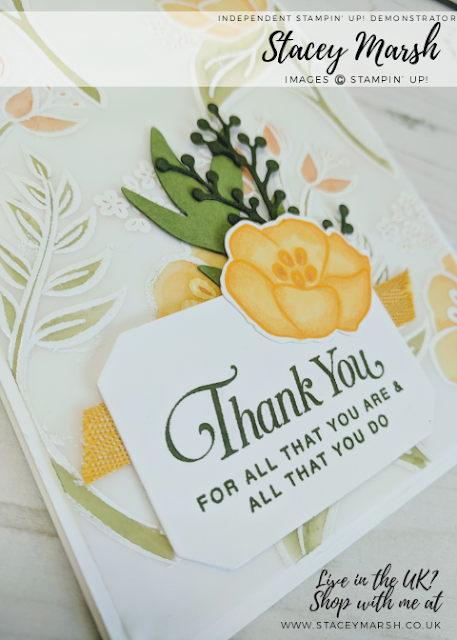 It is a two-step stamp set which means you have stamps for the outline of the images, and additional stamps to infill with colour. 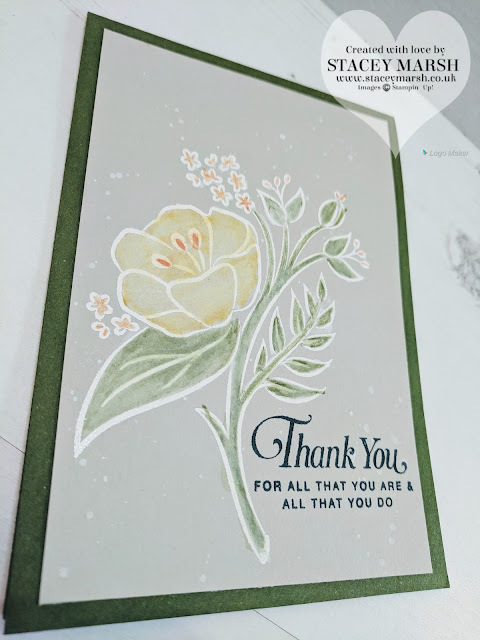 I have stamped 2 flowers and the leaves directly onto the card, and the third has been cut out (with scissors) and raised onto a Stampin' Dimensional. 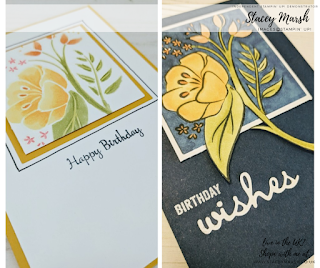 The sentiment comes from the Birthday Blooms Stamp Set, as do the dots! 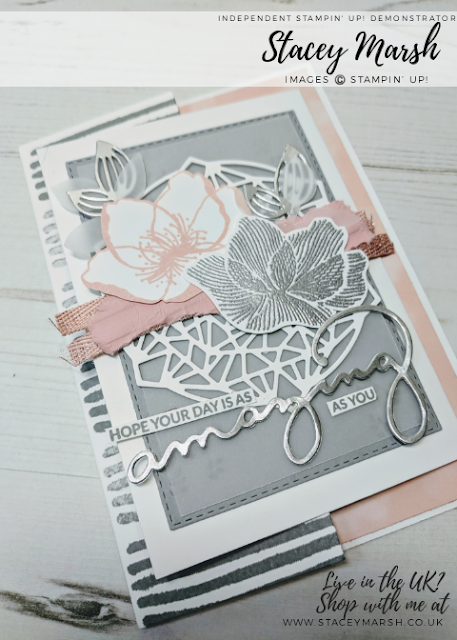 This was a really quick card to put together and I'm sure it would look just as nice in any colour!